Brand new pretty white French ruffles pillowcase with a touch of lace roses whimsy. Each standard pillowcase measures 20 x 26 inches plus a gorgeous 6 inch ruffle! 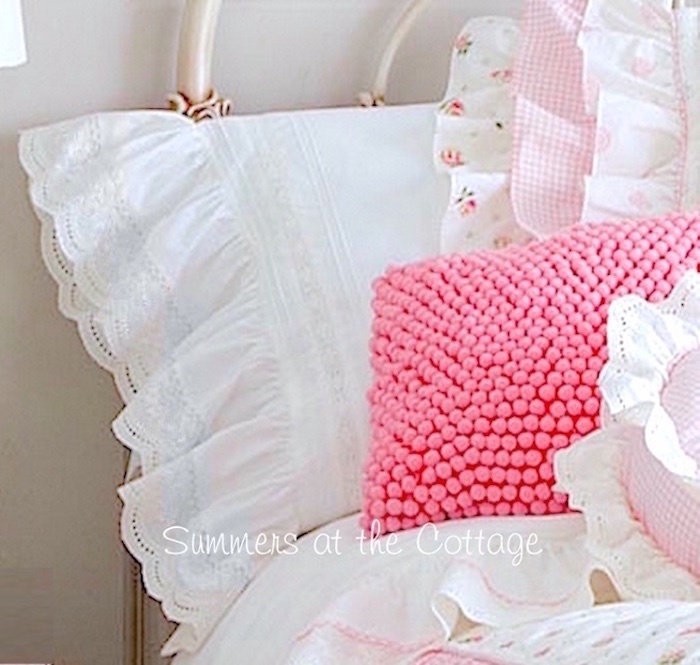 Pretty white pillowcases trimmed and embellished with a long fully gathered ruffle on one end. With white embroidered roses lace and scalloped edge giving this pillowcase a touch of whimsical shabby chic cottage charm. Embroidered roses lace on the end of the long gathered ruffle. The prettiest pillow case ever! We all know how hard it is to find ruffled pillow cases! And this one has it all! 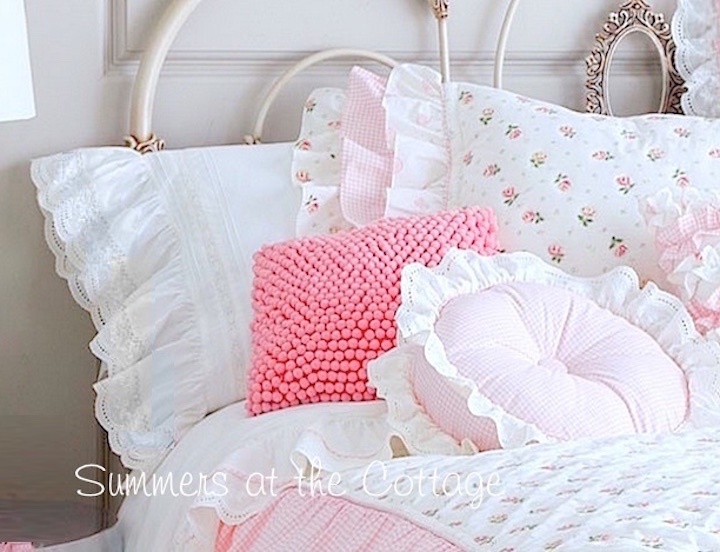 White cotton with a big whimsical ruffle to give it that feminine shabby cottage touch! 100% cotton with a soft 400 threadcount. Perfect to use with any of the linens we offer here at Summers at the Cottage!